Accomplish more in less time! TimeCamp helps you stay focused on growing your business delivering the highest quality of time tracking! Streamline the workflow by turning multiple tools into one, much smarter app. Get a fresh perspective on your team’s performance by looking through the detailed reports. Never miss any billable hour – use the power of time tracking, budgeting and invoicing to keep an eye on how the time and money are being spent in your company. 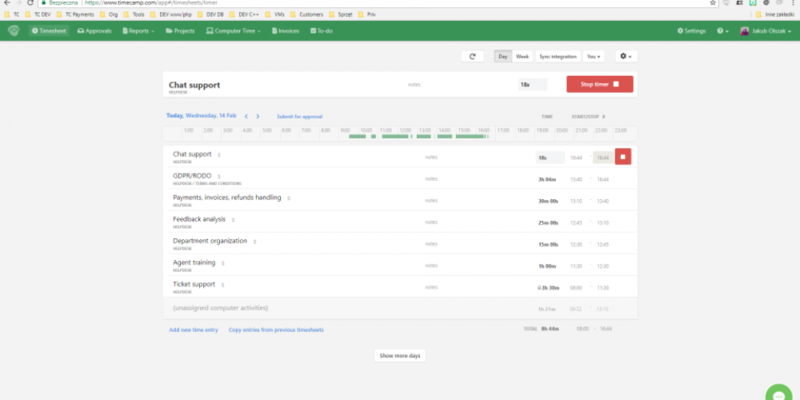 Both direct and Zapier integrations which include project management and accounting tools like Asana, Podio, Trello, Basecamp time tracking, Xero and many others.